What a fantastic year! 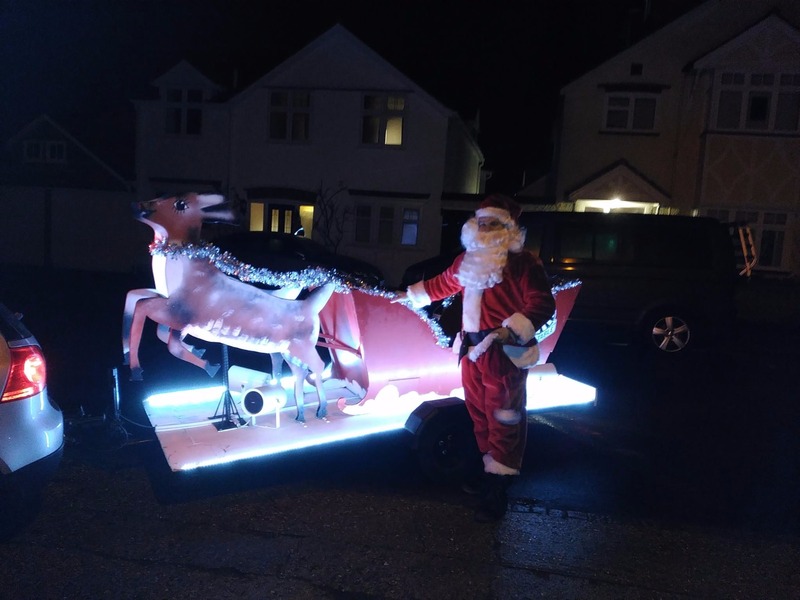 Our sleigh braved the weather to make sure we visited as many streets in Hitchin as possible; and as usual we are greeted by the friendly and generous spirit of the people of Hitchin. Through our Christmas collections (with the help of Santa and his elves), plus our mulled wine stall we have raised over £4,000 which will be split between Hitchin Partnership plus Hitchin Samaritans. Alongside many volunteers on the morning of Saturday 23rd (While Santa was dancing outside Waitrose), we helped Hitchin Partnership package and delver much needed food parcels to local people in need. Our thanks go to everyone who contributed to our collections.